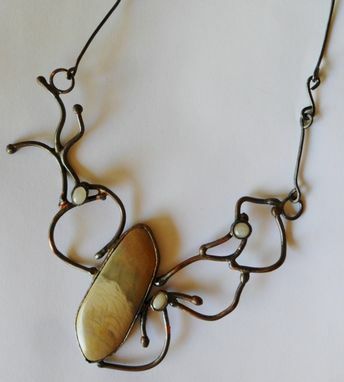 Organic shaped light grey, creams and peach toned misty mountain jasper stone set on copper wires. Copper wire mimicking the gentle lines in the stone with 3 moonstones accenting this original piece. 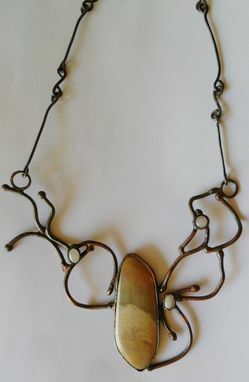 You of course can choose your own stones on this piece. 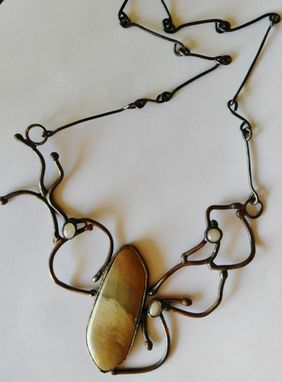 The entire piece is darkened with a patina. 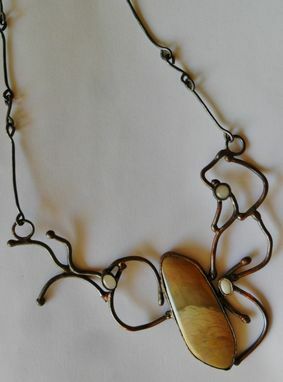 Copper links make up a 14 inch chain, with the pendant 4 inches long and 4 1/2 inches wide, totaling 18 inches in length.